A powerful, yet gentle healing stone, Lithium Quartz brings inner peace and stress release -- balancing mood swings and quieting mental agitation. Lithium Quartz helps to gently bring repressed anger and grief to the surface for healing. It has been said to help heal emotional issues from past lives. 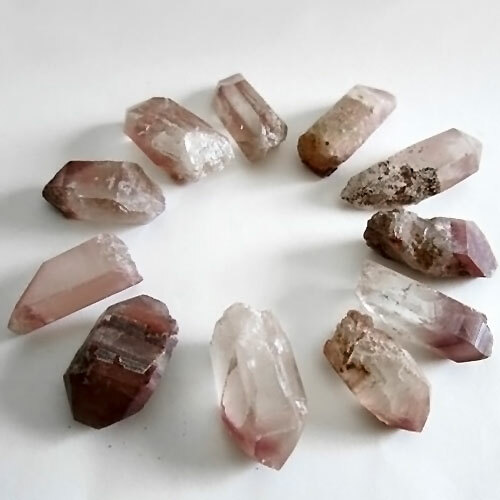 Lithium Quartz is also a desirable meditation aid. These stones range in appearance from cloudy and opaque to translucent and transparent and are often frosted. They vary in color from clear to silvery white, pink & purple -- even orange and ochres. Call us at 561-910-1871 or email us if you don't see what you're looking for on this page.